Coffee came to Brazil by a circuitous route of love and deception. In 1727, Portuguese Lt. Col Francisco del Melo Palheta, on a mission to settle a border dispute with neighboring French Guiana, also managed to seduce the Guainese Governor’s wife and convince her to help him smuggle coffee back to Brazil. To complete the affair, his paramour presented him with a bouquet of flowers and a few coffee seedlings at the state farewell dinner. From these few plants, Brazil went on to become the largest coffee producer for over 150 years and continues to be the world’s coffee powerhouse. 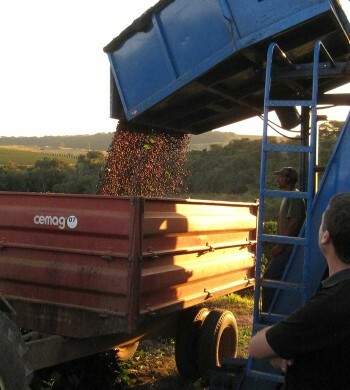 Brazil uses advanced harvesting and processing systems and produces a whopping 40-60 million bags a year. Due to the growth of internal demand however, a large amount of that (20 million bags in 2014) is staying within the country. Once thought primary as a producer of blender coffee, Brazil has made great improvements in sorting and processing. 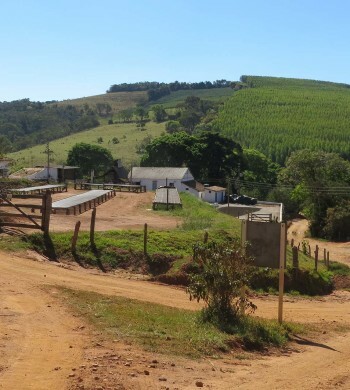 That, along with a recent trend to promote Brazil’s high quality, small-estate coffees is highlighting the amazing variety of specialty coffees the country has to offer. Most of Brazil’s coffees are processed using the natural and pulped natural process which, when done right, imparts sweetness and complexity.